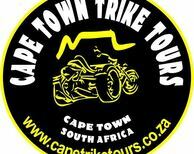 Depart from your hotel or guest house in city centre at 09h00. From Cape Town we travel via the V&A Waterfront, through to Sea Point, Bakoven, Camp Bay and the rest of the Atlantic Seaboard to Llundudno for a photo stop and to stretch the legs. We then ride down to Hout Bay harbour for a cup of coffee and to watch the seals being fed by the locals. You might even get a chance to feed them yourself. You can even take an optional trip to seal island on one of the ferry boats. 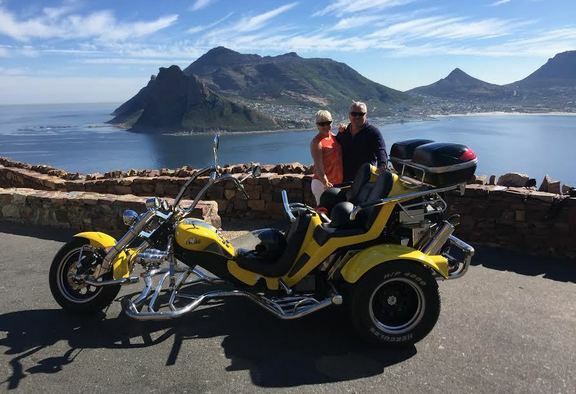 We then ride up Chapmans Peak, rated as the second most scenic marine drive in the world, (if open) and stop for a photo stop on the top of the pass. The views from here are spectacular. We then ride down through Noordhoek, to Kommetjie, where we will stop for a drink or two or even lunch. From Kommetjie we ride through Misty Cliffs to Cape Point nature reserve (entry excluded), the most south-westerly point of the African continent where you can enjoy the stunning views and you can either walk up, or take the funicular all the way to the old lighthouse. There is also a world class restaurant if you’re still feeling a bit peckish. From Cape Point we travel to Boulders beach, home of the African Penguin. Here you can see these amazing creatures up close and personal. From there we travel through historic Simonstown, Fish Hoek, Kalk Bay over scenic Boyes drive with a photo stop above Muizenberg...the views will blow your mind! From there we hop onto the M5 with a final stop at Rhodes memorial where you can see most of the Cape Flats and surrounds in all its glory. We then ride back to Cape Town where the day will sadly end at your hotel or guest house. Approx. 8 hours. Price excludes entry fee to Cape Point nature reserve.